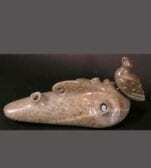 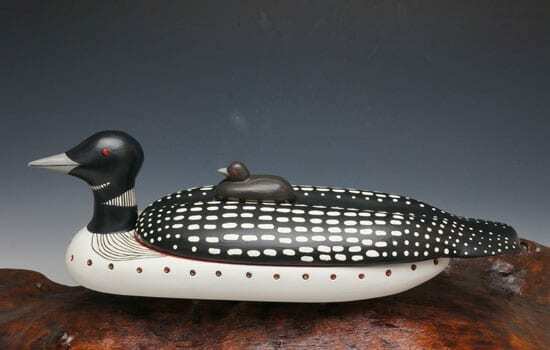 A beautiful loon bowl carved from yellow cedar, with a separate base. 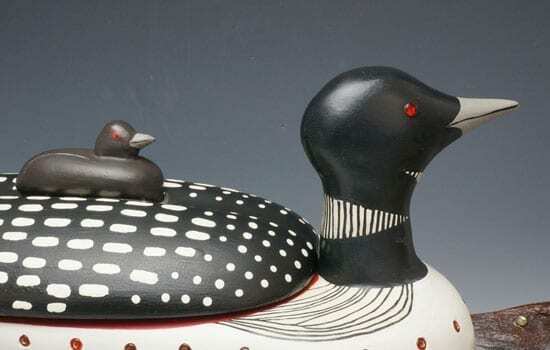 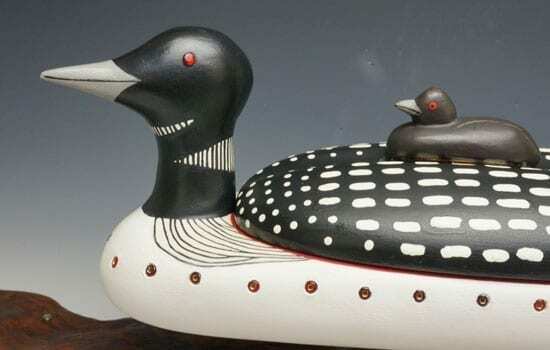 The mother loon and baby perch on a douglas fir base adorned with mother of pearl dots. 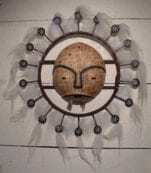 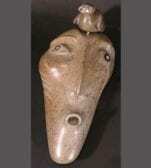 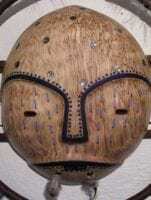 Mother is inlaid with red beads around the perimeter and red glass eyes. 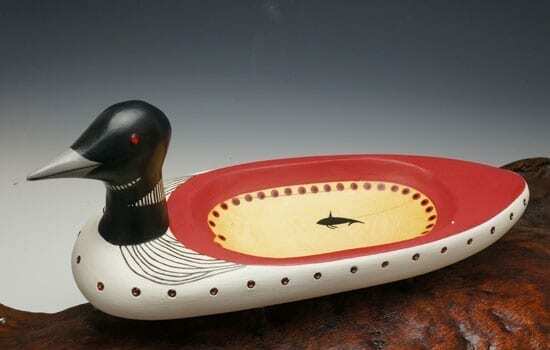 The top of the loon lifts off to reveal a natural cedar bowl with a whale effigy. 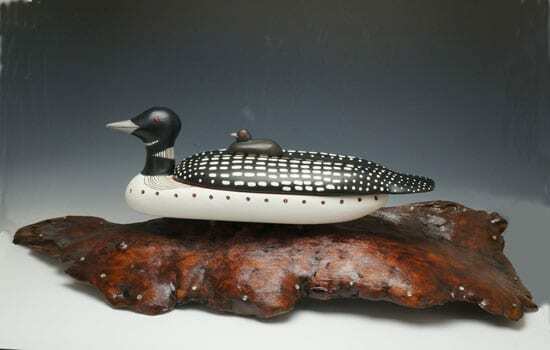 Loon is 17 1/2″ long x 6″ deep x 6″ high; 10 1/2″ high on stand. 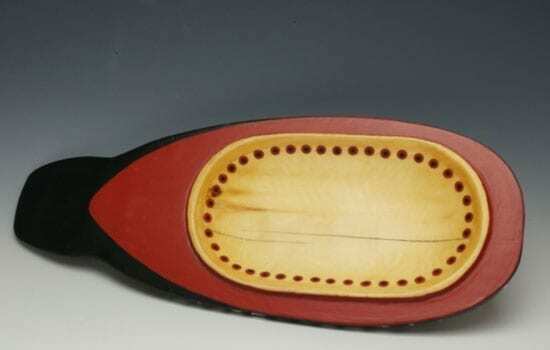 Stand is 32″ long x 11″ deep x 4″ high.